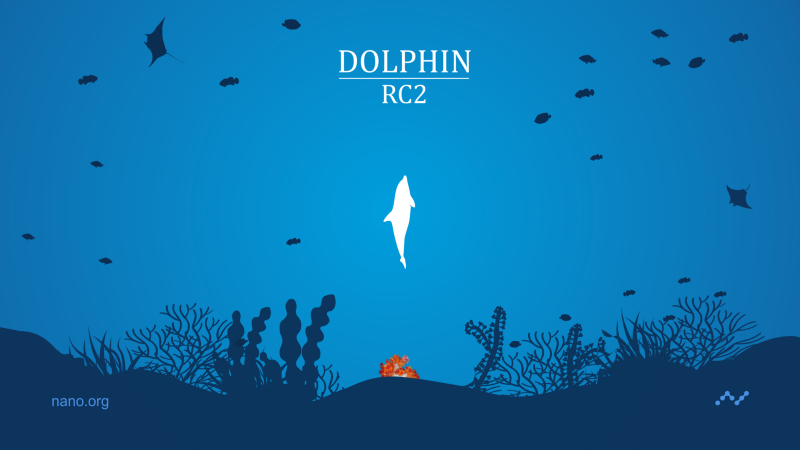 The second release candidate of our Dolphin release is now available for testing on the beta network. For more details on the version 18 features, swim on over to our Dolphin Deep Dive or surf through the commits in the Github release. To participate in testing on the beta network, visit https://beta.nano.org. For anyone with an existing node on beta please review the upgrade process details for information about impacts of the rai > nano renaming and database upgrades happening with Dolphin. We also encourage all beta node operators to join the #beta-net channel on Discord. We are thankful to have such a passionate community of beta testers providing feedback and filing bug reports. All your efforts are valuable and help us make Nano better with each release — thank you! The following changes are new with this version as compared to full V18.0RC1 change log.